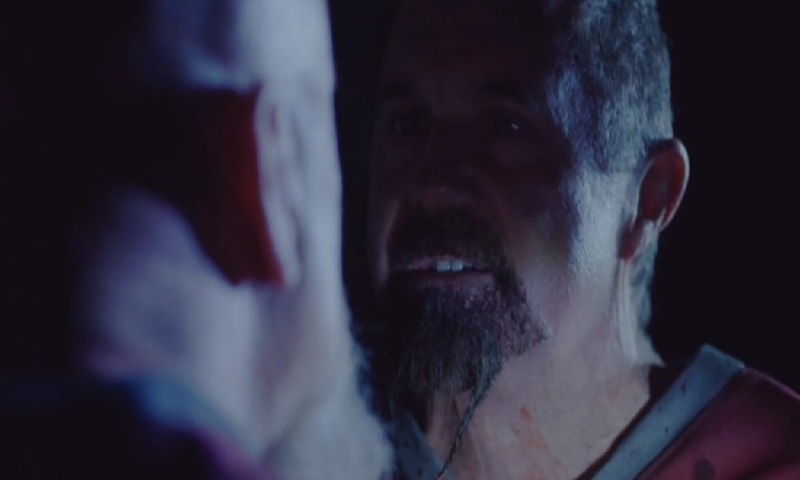 Kane Hodder Squares Off Against RA Mihailoff in a Full Scene from ‘Death House’! To celebrate a brand new year, we bring you our very first Dark Universe post of 2018. Death House director Harrison Smith has just given all of us horror fans a treat, unleashing an entire scene from next year’s “Expendables of Horror” film. Watch the bloodshed between Kane Hodder and RA Mihailoff unfold in the footage below! Happy New Year to all our Dark Universe readers! 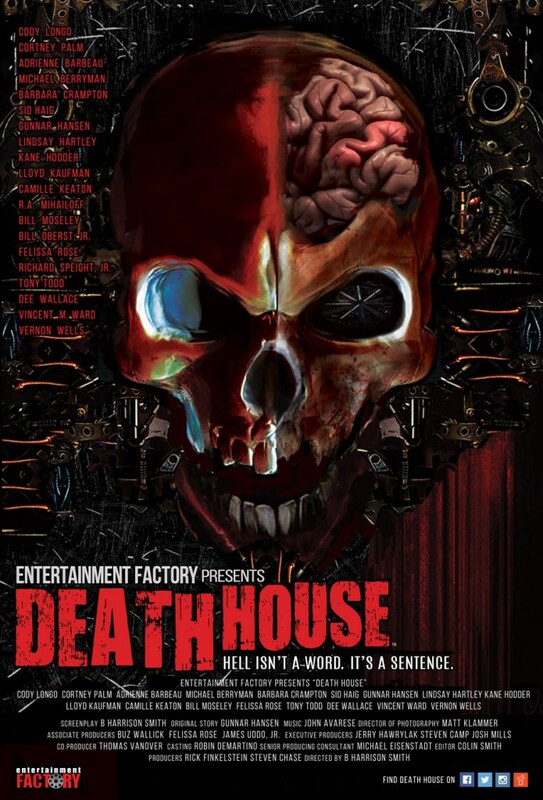 Indie distributor Hannover House, Inc., (OTC PINK: HHSE) and theatrical subsidiary Medallion Releasing, Inc. have entered into an agreement with South Florida-based Entertainment Factory for a national theatrical release of Death House from writer-director B. Harrison Smith. The horror-thriller features an all-star cast of genre’ superstars and will open on approximately one-hundred theatres in top USA markets beginning February 23, 2018. The film was co-written by the legendary Gunnar Hansen, of Texas Chainsaw Massacre Fame, and was produced by Rick Finkelstein (Area 407, Garlic and Gunpowder) and Steven Chase (Garlic and Gunpowder). Principal cast members include Kane Hodder (Friday the 13th, Monster, 2001 Maniacs), Dee Wallace (The Howling, E.T. ), Adrienne Barbeau (The Fog, Swamp Thing), Sid Haig (House of 1000 Corpses, Devil’s Rejects), Michael Berryman (The Hills Have Eyes), Tony Todd (Candyman) and Lindsay Hartley (“Smallville”). Other notable cast members include Barbara Crampton, Bill Mosley, Lloyd Kaufman, R.A. Mihailoff, Vincent Ward, Richard Speight, Jr., Beverly Randolf, Debbie Rachon and Felissa Rose. Red-carpet theatrical events will be open to the public and will occur in both Los Angeles (Thursday, Feb. 22) and New York City (Friday, Feb. 23), with many cast members and principal production team present. Theatrical exhibitors will include Regal Entertainment Group, Cinemark / Century Group, Malco Theatres, Harkins, Marcus, B&B and Megaplex Theatres. The initial theatrical release from Hannover House is expected to reach approximately one-hundred theatres in most of the top 40 largest DMA markets in the country. The home video release and video-on-demand release are planned for June through a distribution pact with Sony Pictures Home Entertainment. That is one wicked scene! I am so much more pumped!! !